My girlfriends are my biggest fans and there is nothing more exciting when one calls and asks you to just go ahead and make something. AC is one of my best customers and always trusts me to sprinkle her creative events with a little customization. 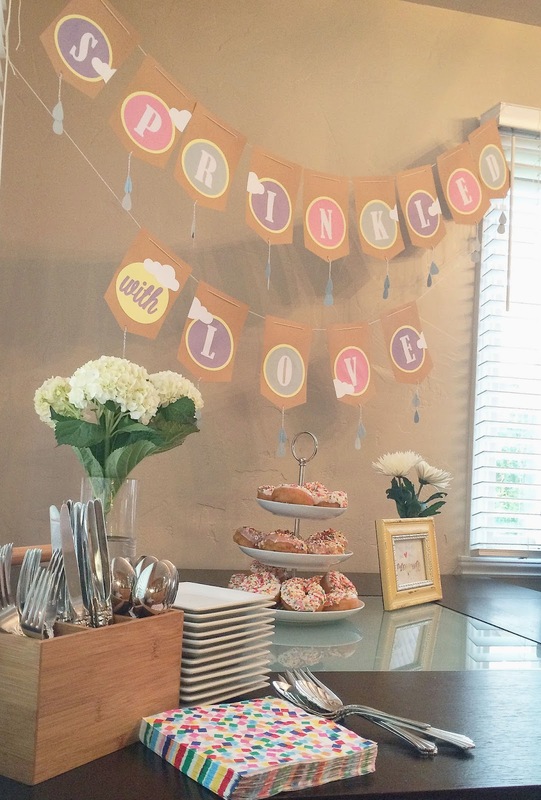 For this baby shower, I created one of my favorite banners - a gender neutral paper banner that had rain drops hanging from the tips and read 'Sprinkled with Love'. 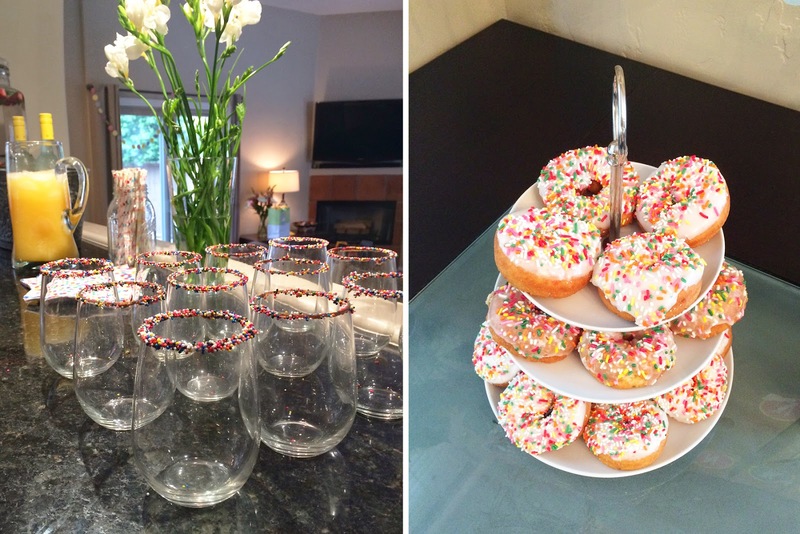 But don't give me all of the credit - look at how cute these sprinkle-rimmed glasses are that she put together! They go great with the sprinkled donuts!! You continue to inspire all of us with your hosting, Miss AC! !